CHAPLET OF THE UNBORN (with ENGLISH card). The CHAPLET OF THE UNBORN was given to us by Our Lady for all to unite in prayer to bring an end to abortion: "I have come with yet another important weapon in the fight against abortion. As you know, abortion is the one crime which, if conquered, would change the future of the world. The weapon I now hand off to you is the Chaplet of the Unborn." 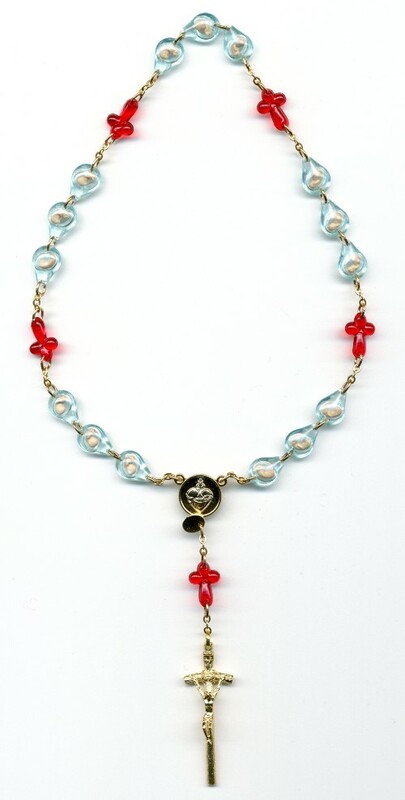 Similar to Our Lady's original design of the Rosary of the Unborn, The Chaplet of the Unborn features 5 sets of 'Our Father' and 3 'Hail Mary' beads, each prayed for specific attentions to bring about triumph in ending abortion. The centerpiece holds the image of the United Hearts of Jesus and Mary and has a Papal Crucifix. 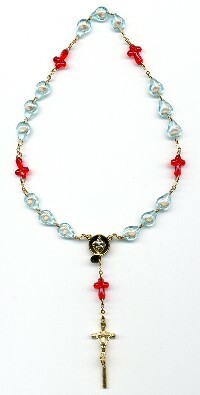 Packaged with free bi-fold prayer card that explains the Chaplet and how to pray it. 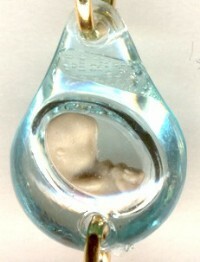 1) "Every time the Chaplet is prayed from the heart, some soul contemplating abortion will have a change of heart." 2) "Each time the Chaplet is prayed from the heart, some soul will be reconciled with the Truth of what abortion really is - the taking of a life." 3) "The Chaplet is a means of reconciliation between the heart of man and the Heart of God, which is so greatly wounded by the sin of abortion."